ROADTRIP-'62 – Hunting 1962 news from South Carolina in a quick trip up US-176. Today, Roadtrip-'62 ™ looks at some of the news from South Carolina in 1962. And, we take a little roadtrip to do so. We begin in Charleston, on the Atlantic Ocean. Charleston is served by three US-numbered highways: US-17, US-52, and US-78. Additionally, US-176 begins just north of town and that's the highway we will follow today. During 1962, the centennial of the Civil War was being commemorated around the country, and we could have visited the place where it all began. Fort Sumter is most famous today because Confederate States of America forces fired the first shots of the Civil War upon Federal troops at Fort Sumter on April 12, 1861. Fort Sumter National Monument comprises several sites in Charleston Harbor, including of course the fort. We’ll have more to say about the Civil War when we get to the state capitol at Columbia, South Carolina. The I-26 freeway existed from Columbia to about 20 miles north of Charleston, constructed in pieces beginning in 1957, and construction of that last section began in 1962. As with all urban freeways, it destroyed entire neighborhoods, demolishing homes, businesses like Patterson's TV, open spaces, and more. Even neighborhoods that were not destroyed were frequently divided and ceased to function as a neighborhood unit. The freeway through North Charleston would do all that while it also reduced traffic congestion on the main roads like US-52 and US-78. We would have seen some of that demolition and construction in 1962 in this area: this final section would be completed in 1964. The old roads like King Street are now within a couple blocks of the freeway, and are still two-lane streets through old neighborhoods for much of the way through North Charleston. Farther along, where there would have been farms in 1962, we’ll see malls and other modern suburban building patterns as we head out of town to reach US-176, which will take us on the rest of today’s roadtrip. Most of I-26 through South Carolina is near and parallel to US-176. Even without the freeway though, the trend in farming was already down, as there were fewer farms in South Carolina than in the previous year. There was also a drop in total acreage planted, led by a 30% decrease in feed-grain acreage. Rated by cash value, tobacco and cotton were the top two crops at the time. Partly because of the ready cotton supply, textile production was the major industrial product of the state. We’ll still see plenty of farm country on our way to Columbia, though. From our point of view here in 2017, one of the most interesting things the legislature did in 1962 was to pass a resolution ordering raising the Confederate flag over the South Carolina State House. It had not previously flown there, but was raised in 1961 as part of the official commemoration of the centennial of the beginning of the Civil War. These celebrations kicked off in Charleston, where the fighting had begun 100 years earlier. In March of the next year, the legislature finally passed a resolution to officially fly the flag, but it did not contain any ending date. As a result, it was still flying in 2015, when the current South Carolina Governor Nikki Haley requested that it be removed. She noted, "This flag, while an integral part of our past, does not represent the future of our great state." The legislature met almost immediately and voted to finally remove the flag. It was removed in July, 2015 and handed to a state archivist during a dignified, 10-minute ceremony. The flag flown in South Carolina was technically the battle flag of the Army of Northern Virginia, not the “national” flag of the Confederate States of America. It’s worth noting that the government of South Carolina was almost entirely Democrats in 1962, when the flag went up. While Republicans made serious bids for many state legislative seats, they won none of those races in the 1962 election. The best they did was for W. D. Workman, Jr. to garner 42% of the vote for Governor, but the seat still went to his Democratic opponent Donald Russell. By the time the flag was removed, much of the government, including Governor Nikki Haley, was Republican. Though the city of Columbia desegregated its lunch counters in 1962, South Carolina was the only southern state which still had not admitted Negros to public schools. It faced two lawsuits seeking to change that, with Harvey Gantt’s case against Clemson College being perhaps the most well-known. For background, in 1954 the United States Supreme Court decided the landmark case of Brown v. Board of Education of Topeka, Kansas. Though separate schools for blacks and whites had been common in many states to that time, the finding was that the 14th Amendment prohibited racial segregation in the public schools because separate education facilities are inherently unequal. Many southern states tried to get around this finding, and the 1956 session of the South Carolina General Assembly has been called the "Segregation Session" because so many laws passed were designed to prevent desegregating schools, parks and other public facilities. 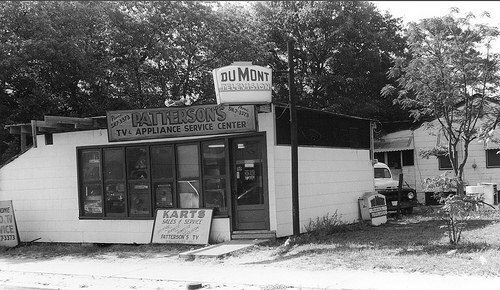 It was into this environment that Harvey B. Gantt graduated in 1960. He was applied to study architecture at Clemson, the only architecture school in South Carolina. But Clemson did not admit black students in 1960, so Gantt enrolled at Iowa State University. At that time, South Carolina paid the difference in cost between in-state and out-of-state enrollment, as a method of providing separate but equal education. The following year Gantt applied again to Clemson, was denied admission, and he filed a lawsuit in 1962. In September, the US District Judge for the Western District in South Carolina denied the motion and the decision was appealed. The US Fourth Circuit Court reversed the lower court decision and ordered Gantt admitted to Clemson for the Spring semester of 1963. Governor Ernest "Fritz" Hollings was well aware of the violence that had accompanied the admission of James Meredith to college in Mississippi, which had resulted in President John F. Kennedy sending over 3000 federal troops and did not wish to see that repeated. In his final speech as Governor, Fritz Hollings stated that the day of segregation had passed and called for the integration process to be handled “with dignity.” In the background, the Governor sent his law enforcement people to study the situation in Mississippi and devise a detailed security plan for Clemson. The plan was used by the incoming Governor Donald S. Russell on January 28th, 1963 and no violence accompanied the South Carolina integration. Mr. Gantt graduated from Clemson in 1965. The first nuclear reactor for electricity production in South Carolina began test operation this year, coming online for full production the next year. At a site near Parr, South Carolina, just a few miles east of US-176 and north of Columbia, a consortium of power companies constructed an experimental pressurized tube heavy water nuclear power reactor. The reactor was known as the Parr Nuclear Station or the Carolinas–Virginia Tube Reactor (CVTR). It was the first US heavy water power reactor and was built to test the concept. The reactor operated successfully from 1963 to 1967 and was considered a success, with the general design becoming the prevalent design for pressurized water reactor containments in the United States. The site was demolished in 2009 and returned to greenfield. The much larger Virgil C. Summer Nuclear Generating Station was then constructed three miles north in the 1970s. It began operating in 1984 and is still running today. The area these reactors are in is near Sumter National Forest, which was officially designated in 1936. It’s a nice place to stop on a trip along US-176, as you travel between historic South Carolina sites. Sumter has hiking or riding trails, paddling, fishing, hunting, camping, and more to enjoy. And, you can enjoy the forest year-round because of the mild southern winters. We pass through the Enoree Ranger District, in the piedmont section of the state between the mountains of North Carolina and the coastal plains at the Atlantic Ocean. Thus, the waterfalls in Sumter are in a different ranger district. Like the fort in Charleston, the forest is named for Thomas Sumter, a patriot military leader during the American Revolution. Like so many national forests, the lands that became the Sumter were predominantly eroding old farm fields and gullies or extensively logged forests. Once the lands became part of the Sumter, the process of controlling soil erosion, regulating the flow of streams and the production of timber began. Over time, the land has been slowly restored and has become productive again. Greenville-Spartanburg International Airport is on the border between the two cities, just south of US-29. Originally called “The Jetport”, it was the first real collaboration between two competitive communities. The idea for a regional airport was first pushed in 1945 by Eastern Airlines President, Eddie Rickenbacker. By 1958, a site straddling the Greenville-Spartanburg County line was acquired and architects Skidmore, Owings & Merrill of New York were hired to design the airport. In October, 1962, the first private plane landed and a month later The Greenville-Spartanburg Jetport opened to commercial traffic. Officials estimated nearly 100,000 people crowded into the new airport for its official dedication, where they admired its 2,000 landscaped acres and art-lined concourse. Today, more than 1.9 million passengers per year are served by 5 major airlines operating from Greenville-Spartanburg International Airport. And, up to 3000 packages per hour can be sorted and sent on their way in the FedEx facility completed in 2001. Remember, you can find ALL the ROADTRIP-'62 ™ articles listed conveniently on the Blog Archives page. Or read the Latest Post. Read comments from other readers at our Comments Page. Subscribe to our newsletter and receive info and deals that do not appear here! And you can send me your Comments: I'd love to hear from you! Well, that’s about enough news for the day. By the way, on our trip through South Carolina Roadtrip-'62 ™ traveled almost the entire distance of highway US-176. The route runs only 238 miles, from US-52 north of North Charleston, South Carolina to Hendersonville, North Carolina. And, it had the same routing in 1962! See you next time for more fun travel and history. All photos by the author and Copyright © 2017 - Milne Enterprises, Inc., except as noted. All other content Copyright © 2017 - Milne Enterprises, Inc.
Get all the latest from ROADTRIP-'62 ™ delivered to you. Subscribe To Updates. Please visit our sponsors, some of whom were open to serve you in 1962, and others selling great products from that year. Buy from them today and keep Roadtrip-'62 ™ here to read again, and again! What's the weather in 1962? Visit us on Facebook, Google+, or Pinterest! Here's your chance to buy some actual stuff from 1962! Have Fun! Please visit these sponsors, some of whom were open to serve you in 1962, and others selling great products from that year. Copyright © 2017, and ROADTRIP-'62 ™ - Milne Enterprises, Inc.
Website design by Milne Enterprises, Inc.